These three reports, among several others that go unnoticed, have brought to the surface the basic problem in the country: those who are in powerful positions — the supposed crusaders of justice — are found violating the law and committing the most heinous of crimes. Yes, the Sexual Harassment of Women at Workplace (Prevention, Prohibition and Redressal) Act, 2013, which was implemented in April, does promise to protect women, but how can women protect themselves before taking the issue to court? Former assistant solicitor general of India, PS Dinesh Kumar, says, "At the moment, the only functional law for sexual harassment is the Vishaka Guidelines." It states that every institution must have a sexual harassment committee with five members, of which three members should be women, including the chairperson. Based on an oral or written complaint, the committee is supposed to question the accused after examining the witness's accounts, if any, and/or, other evidences provided by the complainant. If the person is found guilty, depending on the degree of harassment, suitable action must be taken. Having handled many cases of sexual harassment in various institutions, Dinesh adds, "What we ignore is that men too are harassed. I've seen several cases where women, to avenge professional disagreements, have lodged complaints of sexual harassment against righteous men. This is equally disheartening." Suggesting a common solution, he says, "Irrespective of the complainant's gender, we must give everyone a fair hearing, look at the issue objectively and punish severely only after we're sure of all the facts." A profession where sexual abuse is rampant is the film industry. Actress Nikesha Patel says, "The industry is extremely male dominated and that becomes difficult at times. During the shoot of one of my films, the director asked me to wear an extremely deep-neck blouse. Neither my role nor the plot required it as it was about a traditional village girl, but the director insisted I expose or drop out of the film. Uncomfortable with this request of his, I decided to drop out, but since I was firm about my decision, they gave up and agreed to do the film without any vulgarity. However, many actresses agree to such conditions as they fear losing out on opportunities." Several women, who face sexual abuse at work, prefer to stay quiet in order to avoid further harassment or getting unwanted attention. Aarti Nagdeo, an advertising professional, says, "One of my colleagues, who was not even a close friend, commented on my dressing sense saying I should wear things that make me look luscious. I was furious, but ignored this because I did not want to court any trouble at work. But another time I told a colleague, who pinched me every day while greeting me, that it hurt me and asked him not to do it again. I had to say it indirectly in order to avoid straining our professional relationship." Malayalam actress Shwetha Menon recently accused the Congress MP Peethambara Kurup of grabbing her with sexual intention. However, the actress did not take the case forward and suddenly kept mum about the whole incident. "Women like her need to speak up and make a difference. I don't understand why she suddenly decided to become quiet about the whole thing," says actress Malavika Avinash. Stressing on the importance of voicing out such issues, the actress adds, "Women who have been sexually harassed should speak up as it will make a lot more people aware and gather voices of support. All that is required is to make peers, seniors in the institution and friends aware of such instances so that action can be taken against the criminal, collectively." Echoing Malavika's thoughts is actress and mother Priyanka Upendra. "Women must make their problems known to others. If they suffer in silence, they're only encouraging such men to continue with their crime. In order to end one's own suffering and ensure the wrongdoer realizes it to be an offence, it's important to bring the issue to light." Sure, women have to muster up the courage to speak out against the crime, but on a more organizational level, the right foundation must be laid for a safe and secure work environment. Sexuality activist Shaibya Saldanha says, "The 2013 act for sexual harassment has clearly specified every function and requirement the committee is supposed carry out, which is great. However, the organizations should ensure the committee is set up according to the act much earlier and not when a case crops up." She adds, "Also, there must be an orientation session for men and women on what constitutes sexual harassment. Once the committee is established, with trustworthy people on the panel, these must be periodic discussions on gender issues. Since the process of lodging a complaint might be scary for many women, the members of the committee must make themselves approachable to the employees at all times and talk to them about their issues before starting the formal procedure." 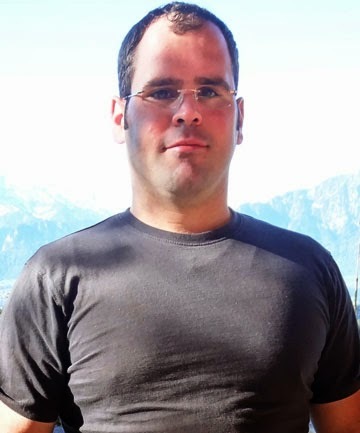 The blogger who leaked thousands of confidential client details may have to pay the Earthquake Commission its court costs after the High Court found he was in breach of confidence. In early April, Marc Krieger, a former EQC employee, leaked a confidential spreadsheet detailing client and claim information for 83,000 EQC clients. He then published that information on a website called EQC truths. EQC brought a civil lawsuit against him for breach of confidence. In his decision, Justice Collins said he concluded that the information contained in the spreadsheet that Krieger published was confidential. He said Krieger acknowledged that he received the spreadsheet from a "disgruntled EQC employee" and must have known that he was not authorised to receive it. That employee has never been identified. Justice Collins said Krieger believed he was acting with a clear conscience when he disclosed the information about the costs of repairing individual claims. However, he said those affected by EQC's decision who had a "legitimate interest" in knowing how their claims were being assessed by EQC had the option to apply for the information through the Official Information Act. "It was not for Mr Krieger to take it upon himself to tell the world at large about the details of individual claims." Justice Collins said the information also had "genuine" commercial interest that needed to be kept confidential to allow EQC to undertake its responsibilities in a "fiscally prudent manner". Krieger had suggested that the information was in the public interest. Justice Collins said the real public interest was in preserving private information of those dealing with EQC. "Those who negotiate with or provide information to EQC should be able to do so freely and frankly, unhindered by the prospect that their private information will become publicly available." Limits on Krieger's freedom of expression only related to the contents of the spreadsheet and would not prevent him expressing opinions about EQC or the Government. Justice Collins granted a declaration that Krieger's disclosure of the information was a breach of his obligation to keep it confidential. He also issued a permanent injunction on the information and opened the door for EQC to seek costs against Krieger. EQC chief executive Ian Simpson welcomed the court's decision. Fashionista and brand ambassador Sonam Kapoor was seen scorching the ramp on Day 1 of the Signature International Fashion Weekend. 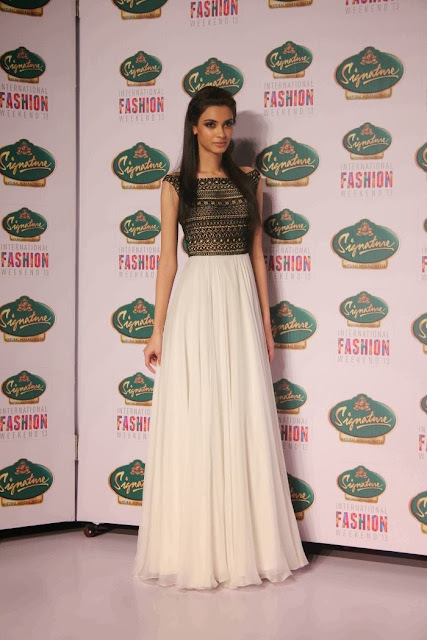 Signature International Fashion Weekend 2013 Day 2 At Mumbai, Sarah Jane Dias, Nargis Fakhri, Lisa Haydon, Diana Penty, Atul Kasbekar, Drashta Sarvaiya, Nachiket Barve. 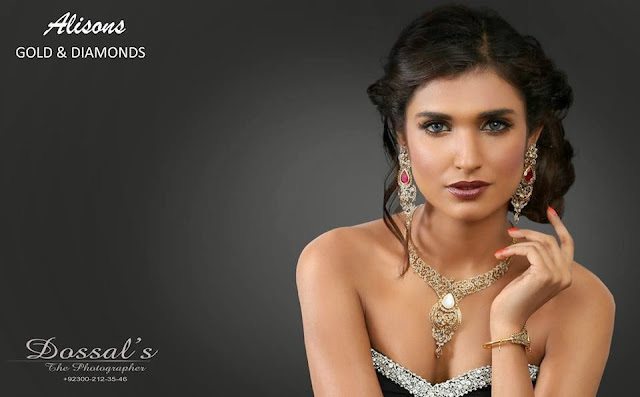 Amna Ilyas is a Pakistani Actress and model. She was born in city of Lahore,. In the movie Zinda Bhaag -2013 , she is the leading lady; and she is playing the role of Rubina. In life every closed door of success and favor can easily be open with an open mind toward achieving your goals. Khaadi Pret - Black and White Collection #2013. Shape your life the way you have always dreamt, work toward your success with your strength to reach your aim in life. Make it happen sky is your limit! The Centre on Wednesday told the Delhi high court that there have been instances of sexual harassment against women radio presenters working with FM Gold channel of All India Radio (AIR) and appropriate action has been taken against the erring people. AIR in its affidavit, filed before a bench of Chief Justice NV Ramana and Justice Manmohan, denied the allegations against it that Vishaka guidelines have not been implemented by it and said it is "alive to its responsibility of ensuring that no act of sexual harassment at work place takes place". The submissions were contained in the reports, filed before the court, of two committees formed by the Information and Broadcasting (I&B) ministry and AIR to look into the allegation that some women presenters of AIR were sexually harassed and exploited by their senior officials. The reports were filed in the court and a copy was given to the petitioner who was given time till December 11 to file a response after going through the findings of the committees. The committees formed by the ministry as well as AIR had given their findings after going through the statements made by the individual complainant as well as other women radio jockeys of FM Gold as well as submissions of the senior officials who had been accused of sexually harassing them. The ministry's committee in its report of April 2013 has observed that "casual presenters at FM Gold and FM Rainbow seem to be in a vulnerable position because of the casual nature of their engagement" and recommended that AIR replace system of grading by duty officers and put in place a comprehensive Performance Appraisal System. The panel also recommended installation of closed circuit TV monitors at key places as well as surprise checks on staff present on duty to act as deterrents against sexual harassment of women. The court was hearing a PIL filed by social worker Meera Mishra through advocate Sugriva Dubey against the alleged sexual harassment and exploitation of women radio presenters of AIR. The new Miss Universe, Gabriela Isler from Venezuela, got to start her reign in a rather memorable way Sunday (November 10), by modeling a $1 million swimsuit. What else would you expect from someone representing the entire universe? Isler wore the white swimsuit, featuring diamonds, rubies and an emerald pendant, along with a fur boa, as the new face of Yamamay, an Italian lingerie company. "It's very simple but very elegant, so it's like me," she said of the piece, according to the AFP. Should Isler feel like she should take the swimsuit and run, Miss Universe organization president Paula Shugart jokes, "We do have armed guards, so don't get any ideas." Miss Universe 2013 Maria Gabriela Isler from Venezuela posed in a million-dollar bathing suit and spoke about the secret of her beauty on Sunday (November 10) morning, hours after she was pronounced the most beautiful woman in the world. "Well, first of all I feel very happy to share my first day as Miss Universe with all of us and I feel honoured that I can wear this million-dollar swimsuit because its 0very simple and at the same way it's very elegant, so I feel very proud and very honoured that I can wear it," said Isler to media after posing for cameras in a million-dollar suit made by the Italian underwear brand Yamamay. The hand-made swimsuit was decorated with diamonds, emeralds and rubies. At a brief news conference following the swimsuit presentation Isler revealed the secret of her beauty. "I can tell you some .... I am a simple woman, I am a very normal, always with smile, with my family, with my dogs. The last year I've spent being Miss Venezuela and I had a lot to do in my country, but I am a simple girl, I just come to have fun, to enjoy the moment and here I am. And I have to tell you a secret of my beauty, I learned that the best secret is a smile with your heart, when you remember all... your childhood, you smile with your heart and your eyes, so this is the best secret, the best accessory that the woman has is the smile," Isler said. Isler has won over 85 other contestants from all over the world in a grand show which included swimsuit and evening gown competitions and interviews. More than one billion people watched the annual broadcast which marked its 62 anniversary this year. Heat oven to 200C/180C fan/gas 6. Toss the cauliflower with the olive oil, season and roast for 15 mins. Stir in the red onion and carry on roasting for 15-20 mins more until tender. While the cauliflower is roasting, mix the vinegar, honey and raisins with some seasoning. 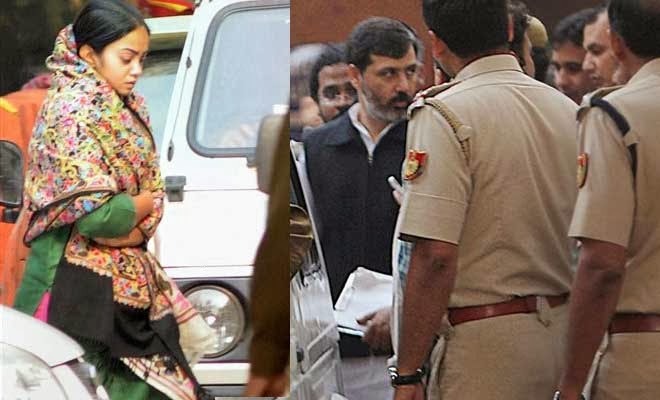 BSP MP Dhananjay Singh was arrested for destruction of evidence while his wife Jagriti was charged with murder of their maid. A day after Bahujan Samaj Party (BSP) MP Dhananjay Singh's wife Jagriti was arrested for the murder of her domestic help Rakhi Bhadra, the police have found that the couple inflicted similar torture and physical abuse on another maid. However, to remove evidence and cover all the tracks after Rakhi's death, they sent 37-year-old Meena to the house of the MP's brother-in-law. The police on Wednesday traced Meena and admitted her to a hospital. "She had marks of iron press on her buttocks and injuries all over her body and head. We found her in a disoriented state. She could not sit or walk," said New Delhi's deputy commissioner of police SPS Tyagi. Meena, who is from West Bengal, has been working at Jagriti's residence at South Avenue since November 2012. Jagriti, a dental surgeon at RML Hospital, has not shown any signs of remorse so far. She broke down once during her day-long interrogation, but said she hit her staff because they would not listen to her. When asked why she did not admit Rakhi to hospital, Jagriti said she did not find the injuries fatal and thought of treating Rakhi herself. Dhananjay had filed for divorce from Jagriti a few months ago, allegedly on the grounds that he could not deal with her temper. She is reportedly undergoing treatment for anger management. The couple were remanded to five days' police custody by a Delhi court on Wednesday. Metropolitan Magistrate Dheeraj Mittal said their "alleged offences are of serious nature". Marcelo Ohio of Brazil (C), is congratulated by the two runners-up Nethnapada Kanrayanon(L) from Thailand, and Brazil Shantell Dmarco from U.S. (R), after winning the crown at the Miss International Queen 2013 transgender beauty pageant in Pattaya, southeastern Thailand Friday, Nov. 1, 2013. Patricia Asyeera Wong, a contestant from Malaysia, is reflected in mirror before the start of the final show of Miss International Queen 2013 transgender/transsexual beauty pageant in Pattaya November 1, 2013. Some 25 contestants from 16 countries, all of them born male, compete in the week-long event for the crown of Miss International Queen 2013. Marcelo Ohio of Brazil waves after winning the International Queen 2013 Transexual beauty contest in Pattaya on November 1, 2013. Twenty-five contestants from 17 countries competed in Pattaya for the Miss International Queen title. Marcelo Ohio, a contestant from Brazil, has her hair straightened before the final show during which she was announced winner of the Miss International Queen 2013 transgender/transsexual beauty pageant in Pattaya November 1, 2013. Some 25 contestants from 16 countries, all of them born male, competed in the week-long event for the crown of Miss International Queen 2013. Contestants pose during the International Queen 2013 Transexual beauty contest in Pattaya on November 1, 2013. Twenty-five contestants from 17 countries competed in Pattaya for the Miss International Queen title. Tanya Muang, a first ever contestant from Myanmar, gets ready for the final night of Miss International Queen 2013 transgender/transsexual beauty pageant in Pattaya November 1, 2013. Some 25 contestants from 16 countries, all of them born male, compete in the week-long event for the crown of Miss International Queen 2013. Marcelo Ohio of Brazil (L) poses after winning the International Queen 2013 Transexual beauty contest in Pattaya on November 1, 2013. Twenty-five contestants from 17 countries competed in Pattaya for the Miss International Queen title. Marceki Ohio of Brazil, center, is congratulated by the two runners-up from Thailand Nethnapada Kanrayanon, left, and Shantell D'Marco of the US, right, after winning the crown at the Miss International Queen 2013 transvestite beauty pageant in Pattaya, southeastern Thailand Friday, Nov. 1, 2013. Marceki Ohio of Brazil, center, poses with the runners-up Shantell D'Marco of the US, right, after winning the crown at the Miss International Queen 2013 transvestite beauty pageant, in Pattaya, southeastern Thailand Friday, Nov. 1, 2013. Marcelo Ohio of Brazil (C) waves next to first runner up Shantell D' Marco of US (R) after winning the International Queen 2013 Transexual beauty contest in Pattaya on November 1, 2013. Twenty-five contestants from 17 countries competed in Pattaya for the Miss International Queen title. Marcelo Ohio (L), a contestant from Brazil, is crowned after winning the Miss International Queen 2013 transgender/transsexual beauty pageant in Pattaya November 1, 2013. Some 25 contestants from 16 countries, all of them born male, compete in the week-long event for the crown of Miss International Queen 2013. Marcelo Ohio of Brazil competes in the evening gown competition at the Miss International Queen 2013 transvestite beauty pageant in Pattaya, Thailand, Friday, Nov. 1, 2013. Marcelo Ohio of Brazil, right, competes in the evening gown competition with contestant Nethnapada Kanrayanon, in the foreground, at the Miss International Queen 2013 transvestite beauty pageant in Pattaya, Thailand Friday, Nov. 1, 2013. Marcelo Ohio of Brazil celebrate with the trophy after winning the International Queen 2013 Transexual beauty contest in Pattaya on November 1, 2013. Twenty-five contestants from 17 countries competed in Pattaya for the Miss International Queen title. Marcelo Ohio, a contestant from Brazil, smiles after she was crowned winner at the Miss International Queen 2013 transgender/transsexual beauty pageant in Pattaya November 1, 2013. Some 25 contestants from 16 countries, all of them born male, compete in the week-long event for the crown of Miss International Queen 2013. Anastasia, a contestant from the South Africa, focuses before the start of the final show of Miss International Queen 2013 transgender/transsexual beauty pageant in Pattaya November 1, 2013. Some 25 contestants from 16 countries, all of them born male, compete in the week-long event for the crown of Miss International Queen 2013. Annabel Yu of Japan poses during a backstage photo session at the Miss International Queen 2013 transvestite beauty pageant in Pattaya, southeastern Thailand Friday, Nov. 1, 2013. Twenty-five contestants from 17 countries participate in this year's pageant which has been held for nine respective years. Miss International Queen 2013 transvestite beauty pageant participants, from left; Nethnapada Kanrayanon of Thailand, Marcelo Ohio of Brazil, Satsuki Nishiyama of Japan, Kristina Cassandra Ybarra of the Philippines and Tanya Maung of Myanmar pose during a backstage photo at the Miss International Queen 2013 transvestite beauty pageant in Pattaya, southeastern Thailand Friday, Nov. 1, 2013. Twenty-five contestants from 17 countries participate in this year's pageant which has been held for nine respective years. A contestant poses in front mirror at backstage during the Miss International Queen 2013 beauty contest in Pattaya resort on November 1, 2013. Twenty-five contestants from 17 countries are to compete in Pattaya for the crown of Miss International Queen since 2004. 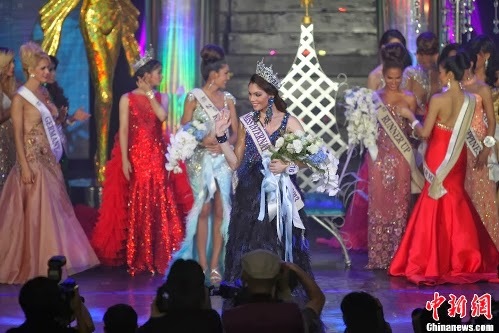 Miss International Queen pageant offers great opportunities for transgender from around the world to present their individual beauty and intelligence in a friendly atmosphere. The 9th edition of the annual Miss International Queen beauty pageant was held on November 1 of this year at Tiffany's Show Theater, Pattaya City, Chonburi, Thailand. 25 contestants from all over the world competed for the most coveted international title and crown. At the end of the night Marcela Ohio from Brazil was crowned as "Miss International Queen 2013" by last year winner Kevin Balot from the Philippines. The graceful and stylish Srishti Rana is a model, who has won Indian Beauty Peagent title. This 21 years young diva has won Miss Asia Pacific World 2013. After Dia Mirza, she has won the title and made India proud. Her father Mr. Anand Rana is feeling very happy for her daughter's achievement. Stunning beauty Srishti Rana is the daughter of Anand Rana and Suman Rana. She hails from the Jat tribe from the city of Faridabad in Haryana state. She has completed her schooling from Modern Vidya Niketan in Faridabad. Later she attended Manav Rachna International University. She has special interest over Painting, Music and hanging out with friends. 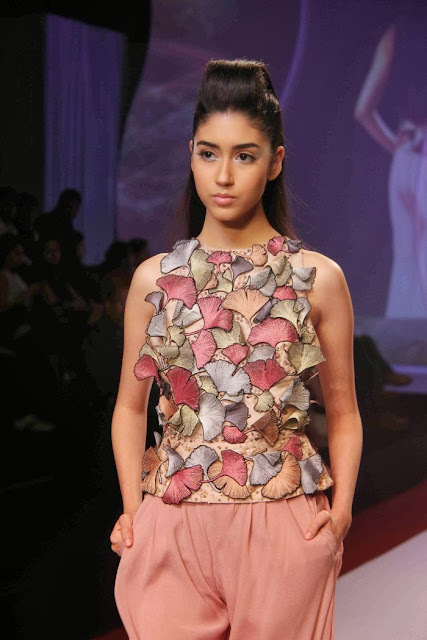 In the recently held beauty contest, she was crowned as Pond's Femina Miss India Delhi 2013 second runner up. Currently, she is the winner of Miss Asia Pacific World 2013. Gorgeous young diva Srishti Rana has won the great title of Miss Asia Pacific World 2013. Previously this title is won by Zeenat Aman in 1970, followed by Tara Anne Fonseca in 1973, Diya Mirza in 2000 and Himangini Singh Yadu in 2012. 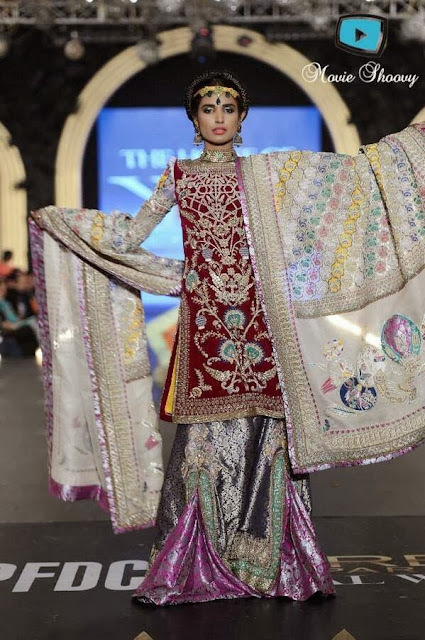 She has also won the National Costume Award in an outfit depicting the national Bird of India, Peacock. Her parents are feeling proud and wonderful for her success. She was trained by the best experts and partners from the fashion and glamour industry. She was trained by the expertise choreographer Shiamak Davar for her talent round, where she was seen dancing to the tunes of a Bollywood medley. That I have given up eating! Believe in yourself and stand for yourself, your family, and people who deserve justice. It gives me my identity, it's what I worship.